The sale on watermelon was too good to pass up — even with the smallest watermelon weighing 15 pounds! Getting the thing home was one thing; finding room in the fridge another. After we cut it, we had more than ten cups of watermelon. After snacking on it for three days, I decided that what we really needed to do was have a drink with it. What is more refreshing than a watermelon cooler? Make a simple syrup with the sugar and water. Pour over a sprig or two of mint. Let cool and remove the mint. 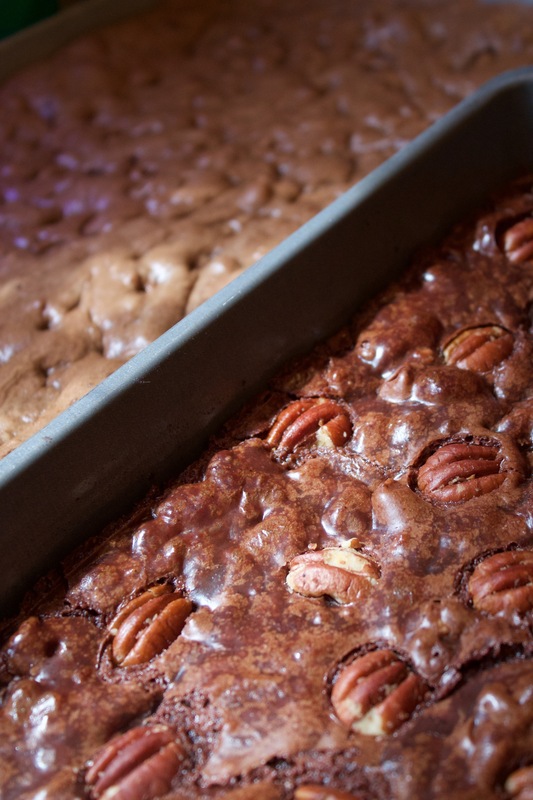 The mint simple syrup can be made ahead and refrigerated a week in advance. In a blender, combine half the simple syrup with half of the lime juice, rum and watermelon chunks and blend until combined. Add half of the ice and blend until smooth. Repeat with remaining ingredients. 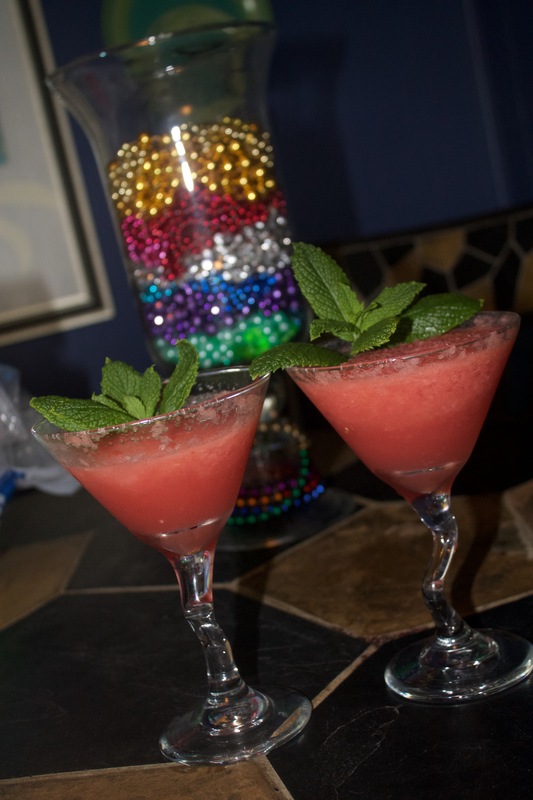 Serve in chilled glasses garnished with watermelon chunks and topped with mint sprigs. Invest in equality right here in Louisiana. Support Forum for Equality on GiveOut Day! Today, millions of Americans will GiveOUT by donating to civil rights organizations across the nation to lend support in the fight for equal rights. As we work to make history in the state of Louisiana, it’s important to remember that true equality begins at home. And by making a donation of $10 or more, you will make a direct impact by supporting local advocacy work in cities and parishes across the state, defending and expanding LGBT rights in the State Legislature, and educating schools, businesses, and communities on the importance of inclusion and acceptance. Maximize your impact! Spread the word by joining us on Facebook, tweeting us @FFELouisiana, forwarding this email to your friends and remember to tell them why it’s important to you that equality begin at home! 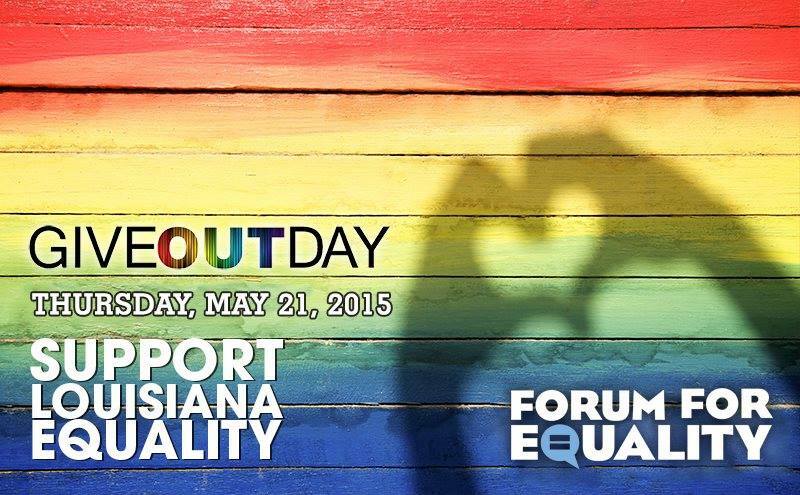 You can throw some hashtags in there too: #GiveOUTDay #BeFairLouisiana #ForumforEquality! I had some friends coming over for dinner and wanted to serve mojitos. Unfortunately, the limes I bought had no juice in them – I reamed nine and barely got 1/3 cup of juice. Add that to the mint being shoved to the back of the fridge where it iced up and turned brown and it looked like my plan was foiled. 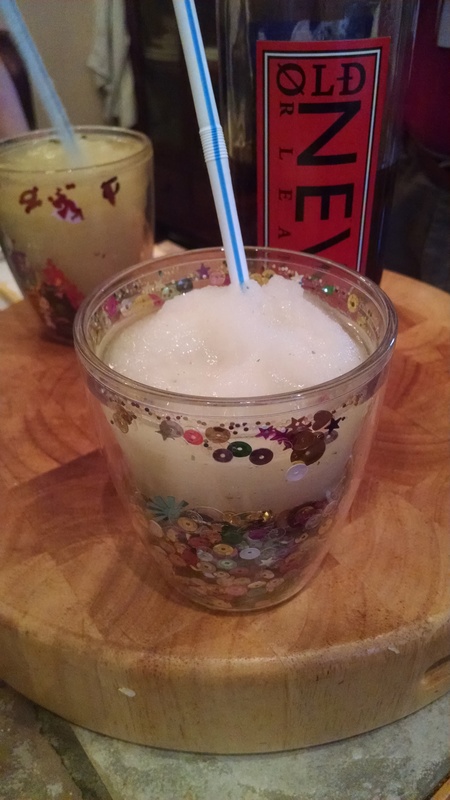 Then I remembered an adult slushy recipe that used mint simple syrup, a bit of lime juice, rum and ice. 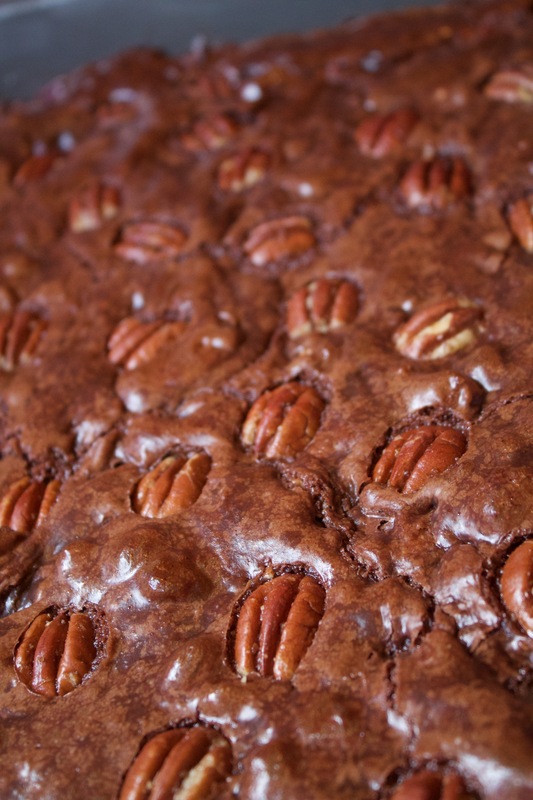 No muddling needed. I always keep a jar of mint simple syrup around (usually to add a sweet minty touch to iced tea but, also because there is no telling when you might have a mint julep emergency!). Mint simple syrup can be made up to a week ahead: In a saucepan over medium heat, add the sugar and water. Cook until the sugar is dissolved and the syrup is clear, stirring regularly. Pack the mint in a jar and pour the sugar water over it. Let steep for 30 minutes before removing the mint leaves. Allow to cool completely before putting it in the refrigerator until ready to use. In a blender, crush the ice. Pour the mint simple syrup, lime juice, lime zest and rum into the blender and blend until slushy. 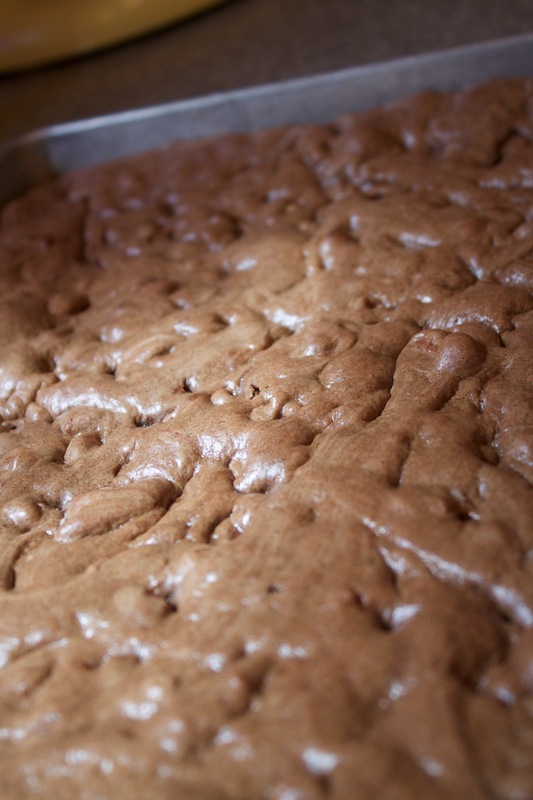 Taste, adding more rum or simple syrup as desired. Spoon into glasses; garnish with a sprig of mint and a lime slice.